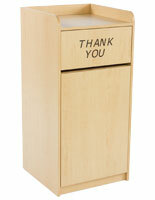 No matter what business you run, there is always a need to properly organize and dispose of waste. 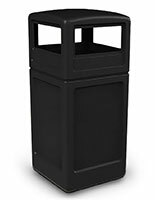 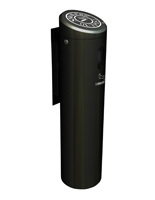 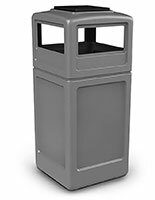 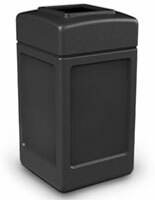 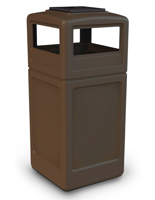 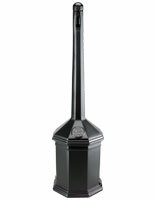 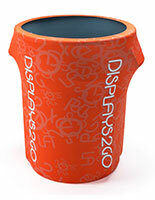 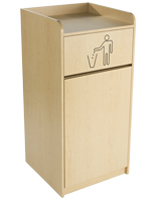 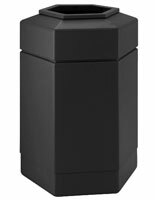 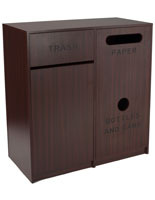 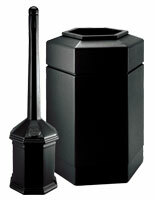 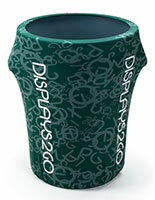 That's why Displays2go has a huge selection of industrial garbage cans for both indoor and outdoor refuse. 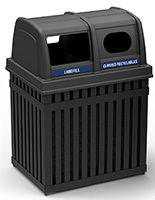 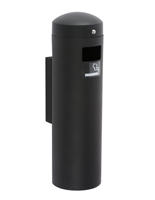 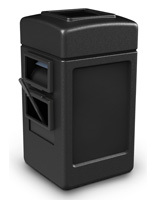 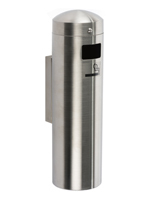 Whether you are the corporate office that needs waste management solutions for paper or break room trash, or you're the city park that needs an arsenal of receptacles urging visitors not to litter, you'll find what you need on this page. 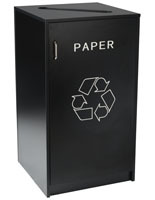 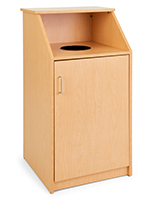 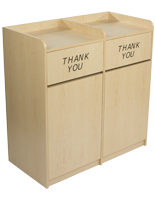 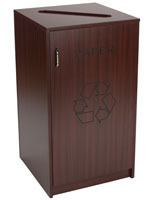 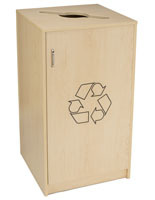 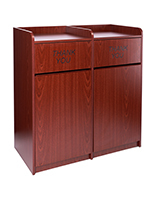 Choose from receptacles, bins and containers of all kinds. 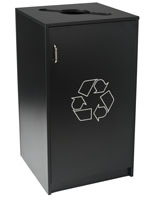 Some are outfitted with recycling logos, labels, decals and even sign frames for custom branding! 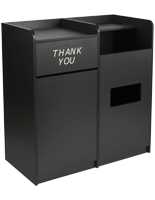 It's always considerate to thank your patrons for discarding their waste appropriately. 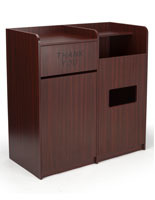 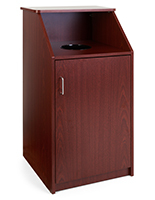 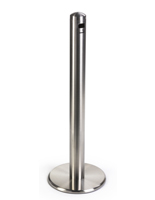 Food service restaurants love the dual waste receptacles with the swinging door and a shelf for trays or baskets. 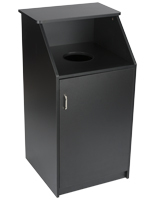 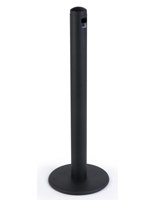 Music venues and nightclubs purchase the trash can and ashtray combos to keep outside areas free of discarded cigarette filters and drink containers. 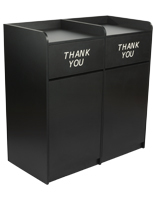 These industrial garbage cans come in all shapes and sizes. 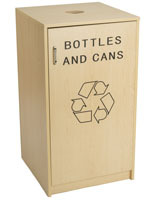 Many feature swinging doors and many others have circular or square openings that pose no impediment to oncoming debris. 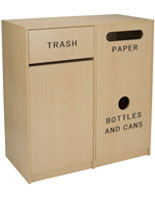 Choose from rounded tops, square tops, hexagonal bodies and even semi-round bodies that fit snugly against a wall. 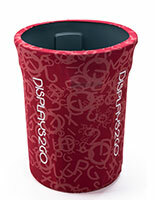 What color do you prefer your industrial can to be? 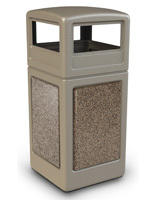 We have a huge selection, including beige, green and maple. 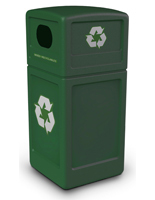 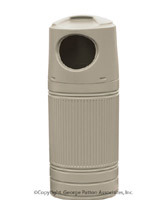 These cans run the gamut of sizes, and some of our larger models can hold up to 42 gallons of refuse! 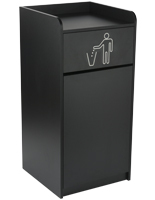 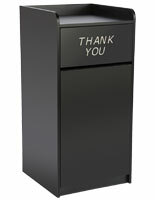 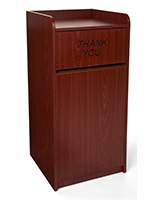 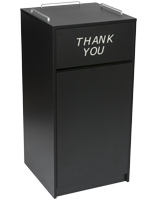 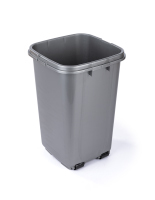 Don't waste any time, shop our selection and order your new industrial garbage can today!